The Howard Building, the prominent former college building in Rotherham town centre, has been sold prior to going to auction next week. A buyer swooped for the property, that was being sold as a development opportunity and given a guide price of £250,000, after local auctioneers, Mark Jenkinson & son reported that "the clients [RCAT] are mindful to sell prior to auction having already received a good level of interest." Rotherham College of Arts and Technology (RCAT) first put the four storey, 58,000 sq ft building up for sale in 2012 with Rotherham Council acting as marketing agents but there wasn't any takers. The site was due to go under the hammer on September 16, being sold freehold with vacant possession and was advertised as having potential for alternative uses subject to planning permission which could include office, retail, hotel and residential use. At Doncaster Gate, the site of the town's first hospital, demolition work is nearly complete and the council, as owner, is set to begin a further formal marketing process commencing when the site is cleared. Any proposals submitted to the Council at the end of the marketing exercise would be brought forward for its Cabinet to consider, before the site was finally sold. Across town, local commercial property firm, Burgess Commercial, has been instructed to sell the freehold of Norton House, the 12,500 sq ft, three storey office block previously used by Norton Finance before staff moved into nearby Portland House. It is up for sale for offers around £495,000. Out of the town centre, the home of electronic retailers Maplin, is up for sale again as an investment. Just last year, an unnamed UK investor purchased Maplin's head office and distribution warehouse at Brookfields Park in Manvers for £11.5m. The retailer sells a range of 15,000 products to tech-savvy hobbyists as well as general consumers through a popular website and a network of over 200 retail outlets throughout the UK and Ireland. 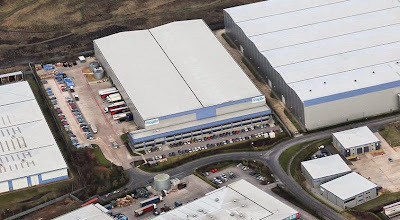 Maplin, which was recently sold to Rutland Partners for £85m, moved to a 220,000 sq ft state of the art distribution centre and head office at Manvers in 2008. Maplin originally signed a 15 year lease from December 2007 but then agreed to a ten year extension in 2013. Sheffield's Commercial Property Partners is advertising the property with offers sought in excess of £14.6m, reflecting a net initial yield of 6.50%. Other commercial property recently put up for sale in Rotherham are Units 2 and 3 at the popular Ignite development at Magna (available for £2.275m) and Canklow House, the home of petrol forecourt developer, MSSR, before it fell into administration earlier this year. RCAT's director of finance and planning quoted in local paper that they understand that the Howard Building will be "refurbished as living accommodation."